Meet us in Nürnberg, Germany on 14-16 March at the Embedded World 2017 exhibition trade fair for embedded technologies. Automation of test case and test results management using our software product TestTrace. We can help you with (a) migration from Excel-based approach to centralized storage of test results; (b) integration of our tool into your software development process and your tools and systems; (c) recommendations on organizing your testing processes. Our specialists can give you independent advice on (a) evaluation of Polarion before you purchase the product; (b) using Polarion in your project; (c) integration of Polarion with other systems; (d) general recommendations on Requirements Management, Test Case and Test Results Management, Build & Release Management in Polarion. Our specialists can give you independent advice on (a) evaluation of DOORS before you purchace the product; (b) using DOORS in your project; (c) integration of DOORS with other systems; (d) general recommendations on Requirements Management. 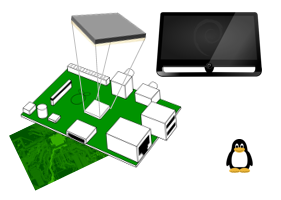 Development of low level device drivers on Linux. Development and testing of Telecommunication Protocol Stacks, such as GSM/GPRS/UMTS. Design and development of radio electronic devices and digital processing devices based on ARM microcontrollers and microprocessors (STMicroelectronics, Atmel), FPGA (Altera). 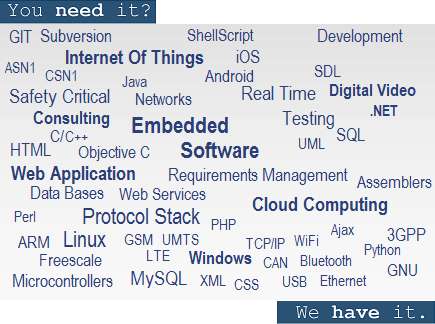 Design and development of analog (0-10В , 4-20 мА, 0-20мА, thermocouple) and digital (Ethernet, USB, Modbus RTU, Modbus TCP/IP, GSM/GPRS, RS485, RS232, RFID) electronic devices for automated systems with remote data transfer. Programming of PLC Siemens S7-1200, S7-1500, S7-300, S7 – 400. Design and development of SCADA systems based on WinCC, HMI Weintek EasyBuilder. Our specialists have proven record of success in development and testing of leading protocol stacks manufacturers, such as Comneon, NEC, Texas Instruments. See the list of our recent Telecom Projects on this page. Development of databases based on MySQL and Perl.